Rudy Green’s Doggy Cuisine was named for a big, brown dog named Rudy. Rudy suffered from ulcers and advanced age. To help Rudy eat better, his human started making homemade meals and realized that not just Rudy but all dogs could thrive on a homemade diet of the properly balanced nutrients. 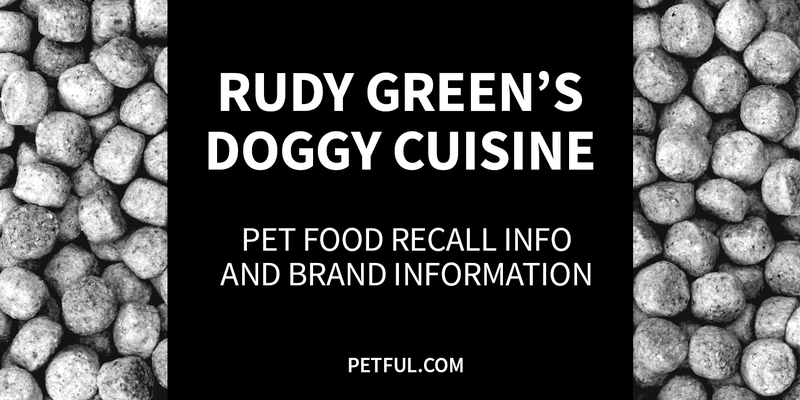 Company: Rudy Green’s Doggy Cuisine Inc.
Has Rudy Green’s Doggy Cuisine Ever Been Recalled? Have You Had a Problem With Rudy Green’s?